Some other colliding worlds posts have been about characters or objects from one of my books showing up in a book from a different series. Others are more of a case of reality intruding on fiction. Once upon a time, there was a Jack Russell puppy named Preacher. 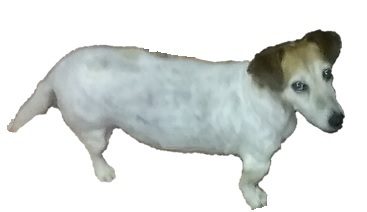 He was named after the Reverend John "Jack" Russell, the 19th C clergyman who is credited with initiating the breed. Preacher was the youngest pup in the litter of five, and the only male. He was a champion whinger as a pup and, at almost thirteen, he still is. He was also frightened of small children, although he's mellowed over the intervening years. 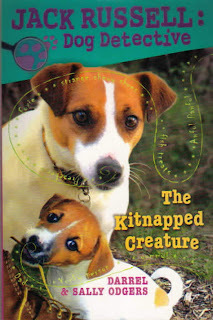 When we were writing the Jack Russell series, my husband and I decided Jack and his friend Jill Russell should have pups. Jack's master Sarge took a fancy to the boy pup in the litter, and when he was old enough, little Preacher duly moved in with Sarge and Jack.